A good cast leads this deep and disturbing beginning to the infamous series. After seeing the previous entries of The Purge film series, I often wondered what in the world happened that would push the United States to let people murder each other legally on a special night of the year. Looks like we finally get some answers in The First Purge which makes its way home on 4K HDR Blu-ray, which features a good cast trying to survive this dangerous night from both sides of the action. Travis Seppala enjoyed this during its theatrical run, and you can check out his review for all of the in-depth plot details and his take on the film while I go into mine here. Like Travis, I felt this was a deep and thoughtful entry into the film series that’s filled with political intrigue and agendas while also weaving in some stories from the public side of things and how they go about responding to these changes for better or worse. You can also tell from watching that this film is heavily inspired from all of the constant protests and such you’re sure to have seen anytime you turn on the TV. I did enjoy how they went about spinning this into an intense thriller, and how normal everyday people can rise up to be heroes or villains with the line often times becoming blurry. The movie came across even better for me thanks to a 4K HDR presentation, which features perfect visual and audio details that will pull you into the intensity and won’t let go until the end credits. Speaking of which, there’s a few special features to take a look at when you get there, starting with a deleted scene which is quite a feat given most movies have several deleted ones. 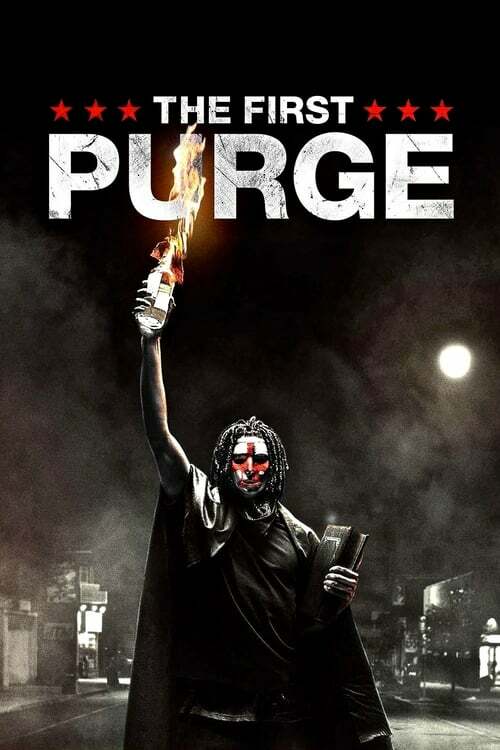 Then there’s some short featurettes that go into making the freaky masks used in the movie, the cast and crew going over the filming process, and another one where they share their thoughts about how much the Purge universe mirrors present-day America a little too closely. If you’re a fan of Blumhouse entries such as Get Out, then you’ll enjoy the sly, political poking and thrills that come in The First Purge. A deep and dark origin point to the film series is made even better thanks to a beautifully detailed 4K HDR release that hits you from all sides and doesn’t let up until the very end.